Don’t wait for National Poetry Month to get your students excited about poetry. Try these ideas any time of year. Poetry units in reading and writing are usually saved for April, which is National Poetry Month. However, one month is barely enough time to expose kids to this important genre. Poetry delights children since it helps us understand ourselves and the human experience by building bridges towards understanding. Great poetry plays with language and sounds, which dazzle and delight the ears of young readers and writers. 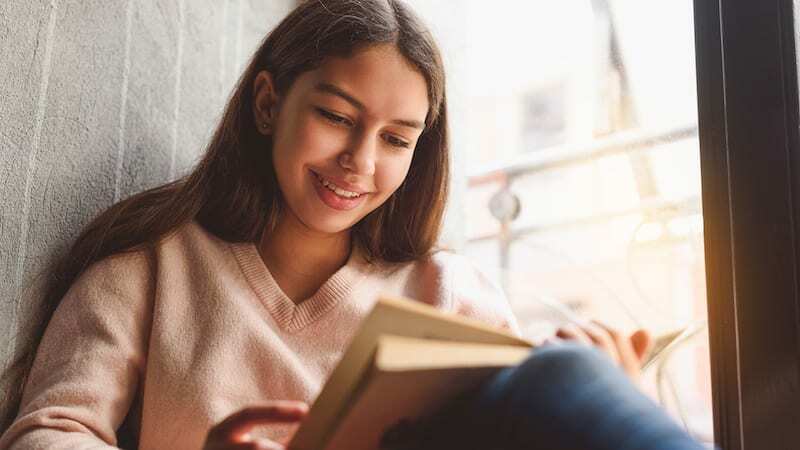 Many poems are short, which makes them enticing for reluctant or struggling readers and writers who can work through them in an abbreviated amount of time. Consider these six ways to infuse poetry into your classroom throughout the year. Fill your classroom library with multiple baskets of poetry books. One basket may include books of rhyming poems, another may include books of humorous poems, while another might be filled with books about themes such as nature or animals. Encourage students to borrow at least one book of poetry each week as part of their independent reading diet. Infuse poetry into your read alouds. Some of my former students’ favorite read alouds were free-verse poetry. A few books you might start with are 42 Miles by Tracie Vaughn Zimmer, Brown Girl Dreaming by Jacqueline Woodson, Love That Dog by Sharon Creech, and The Crossover by Kwame Alexander. This “center” is a place where students can be inspired by poetry. Buy a multi-purpose center station and fill the pockets with poems that will inspire your students to write poems of their own. You may include examples of different types of poetry (e.g., acrostic, diamante, limerick) to inspire kids to try different poetic forms. Rotate the poems in the station every couple of weeks so there’s always something new to inspire your students to write their own poems. If you have an old iPod, add it to the Poetry Station and allow kids to listen to poems you select. Every Friday afternoon, before students head off for the weekend, invite kids to share a favorite poem with their classmates. The poem they share can be written by themselves or published by a poet. Have students turn-in the poem they wish to read at Poetry Circle a day or two in advance. This will ensure their selections are age-appropriate. An added benefit of seeing their selections ahead of time is that it provides students with time to practice reading the poem aloud rather than picking a poem at the last minute on Friday afternoon. Poetry hides in unlikely places. Encourage students to be on the lookout for signs, billboards, advertisements, etc. that read like poetry. Create a bulletin board where students can display their found poetry throughout the school year. Get out of the classroom to share some experiences with your students. 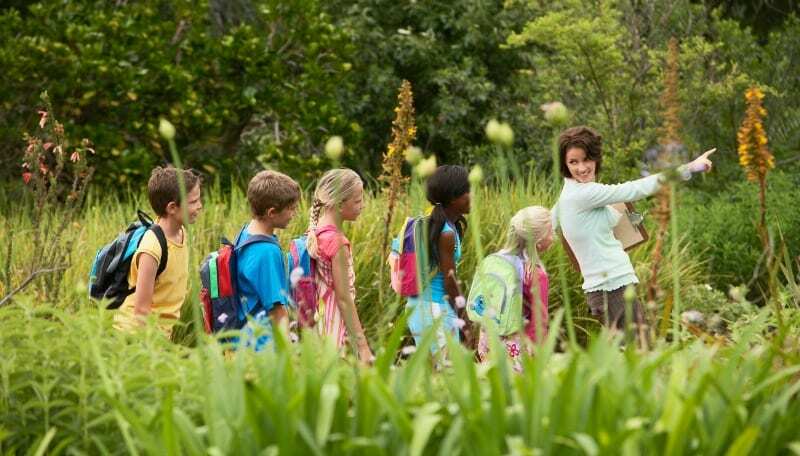 Encourage kids to write observational poems on field trips. Great poetry can be written while observing animals at the zoo, roaming around a park, studying plants at a botanical garden, or looking down from the observation deck of a tall building. Regardless of the destination, traveling to a new place with students in service of writing poetry will inspire kids to notice the world around them and capture their impressions with their words. Repeated exposure to poetry helps students understand the power of language and helps them to see the world in new ways. So why limit poetry to only April? Try to infuse poetry into your classroom all year long. Doing so will elevate the reading and writing of poetry to a place of importance in your students’ lives.